Kazakhstan, Kyrgyzstan, Russia, Tajikistan, and Turkmenistan. Fees associated with filing patent applications in Eurasia as well as other patent fees are available in the fee calculator. The deadline for filing a conventional patent application claiming priority in Eurasia is 12 months from the priority date. If the applicant fails to file the application due to circumstances below him, this deadline may be extended for two months from the expiration of this term provided that the corresponding official fee is paid. - materials that make an impression of the description of an invention. 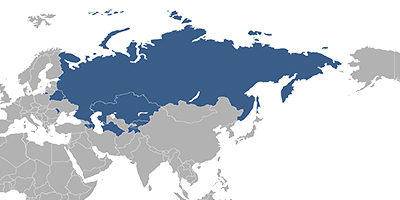 The language of the patent registration in the Eurasian Patent Office is Russian. In case the Eurasian application is filed in any other foreign language, the translation into Russian should be provided within two months from the filing date. This term may be extended for two additional months if the corresponding official fee is paid. A certified copy of the priority document must be provided to the EAPO within 16 months from the priority date. Notarization or legalisation of a POA is not required. It must be submitted to the Eurasian Patent Office within two months from the date of filing. The request for substantive examination should be filed within six months from publication of a Eurasian patent application. This term may be extended for two months by paying extra fees. The appointment of an agent which must be a registered Eurasian patent attorney is required for foreigners. It's worth mentioning that a patent attorney must be registered before the Eurasian Patent Office but not with any local office of the EAPC member states. 2. Protection of utility models is not possible under the Eurasian Patent Convention.